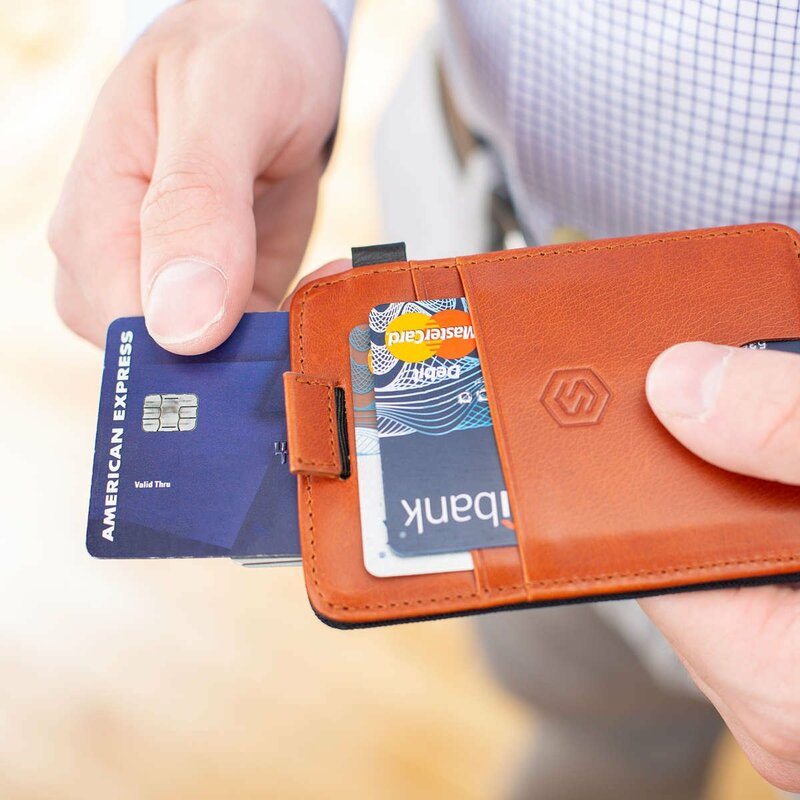 STRAPO ULTRA-SLIM EXPANDABLE WALLET HAS BEEN TAKING THE WORLD BY STORM! The STRAPO is designed with your convenience in mind. It is spacious without taking too much space. 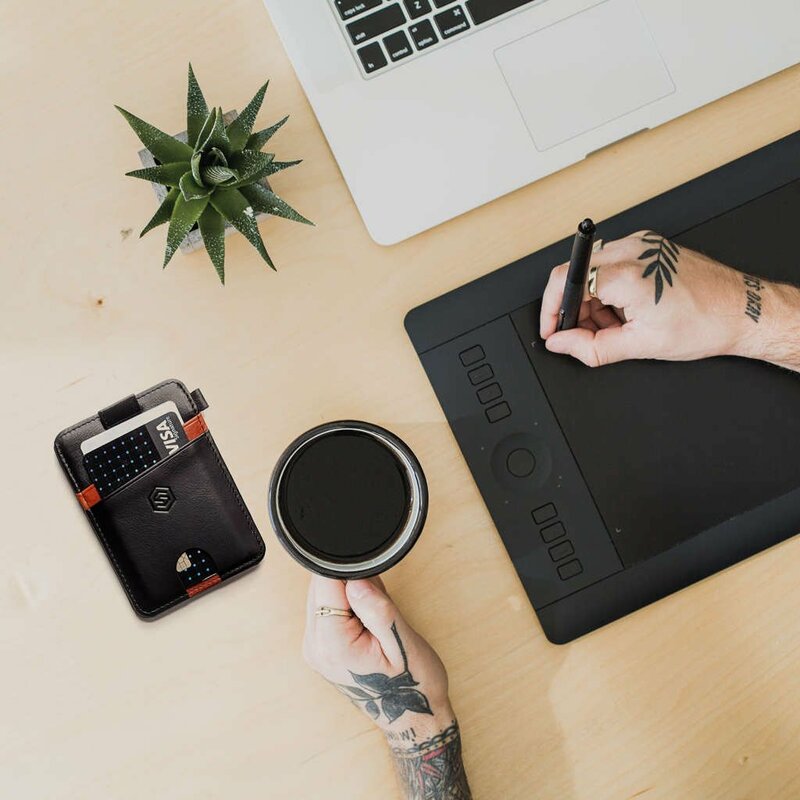 It can hold up to 6 credit or debit cards, a GPS tracker, keys, earphones, receipts, business cards, cash or even a memory card. This expandable sleeve wallet can hold anything that comes to mind. expands according to all that you put into the wallet and holds it tight. You can therefore confidently fit in any item like GPS tracker, keys, Earphone, Receipts, business cards, cash, memory cards. It simply fits in all that you need and holds it tight and you don't have to worry about losing any item. 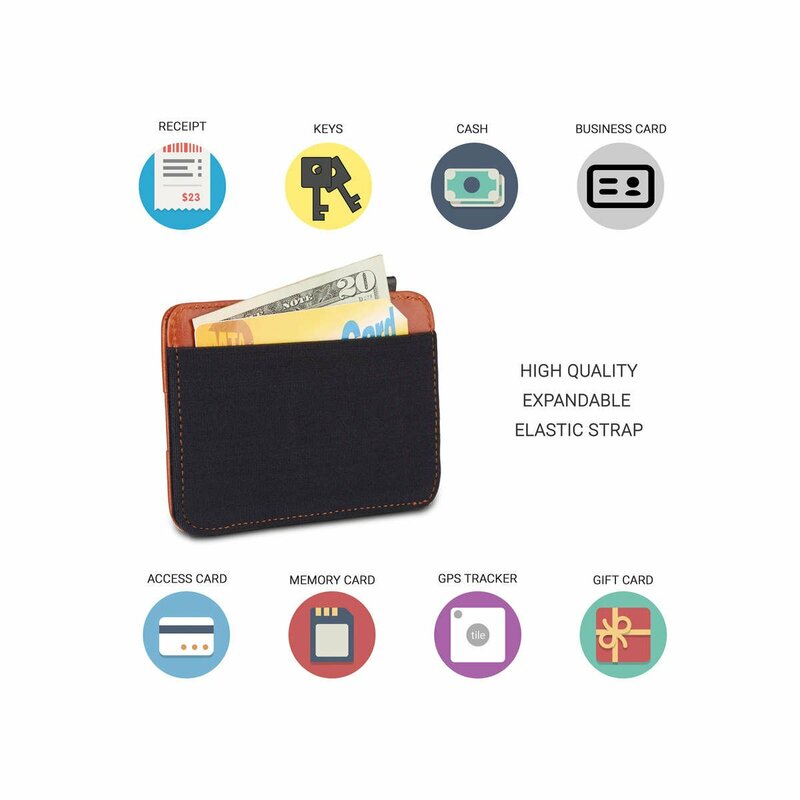 You are getting well designed minimalist wallet made using the highest quality genuine leather and high-quality strap. It is strong and durable and guarantees you years of service. 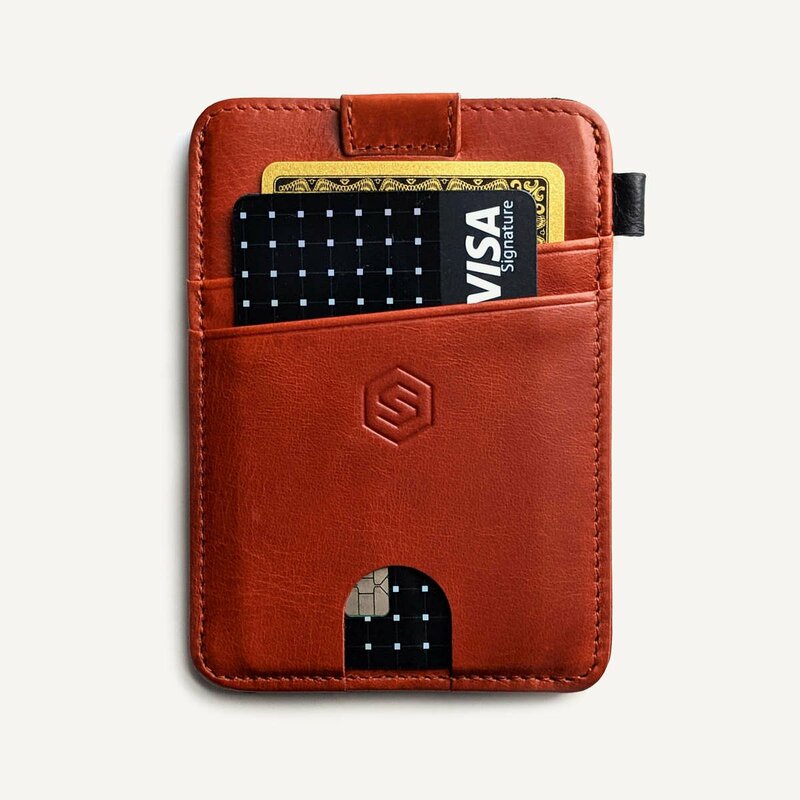 It can easily hold up to 10 cards and several cash notes. 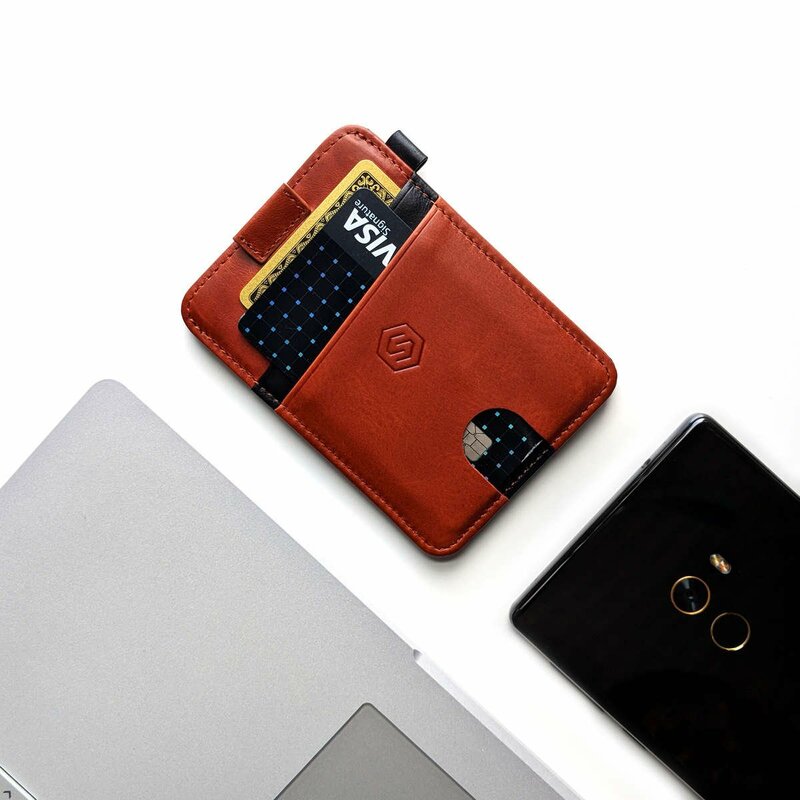 Whether you are commuting to work, traveling abroad or simply enjoying a nice cocktail with your pals, this ultra thin sleeve wallet is the way to go. 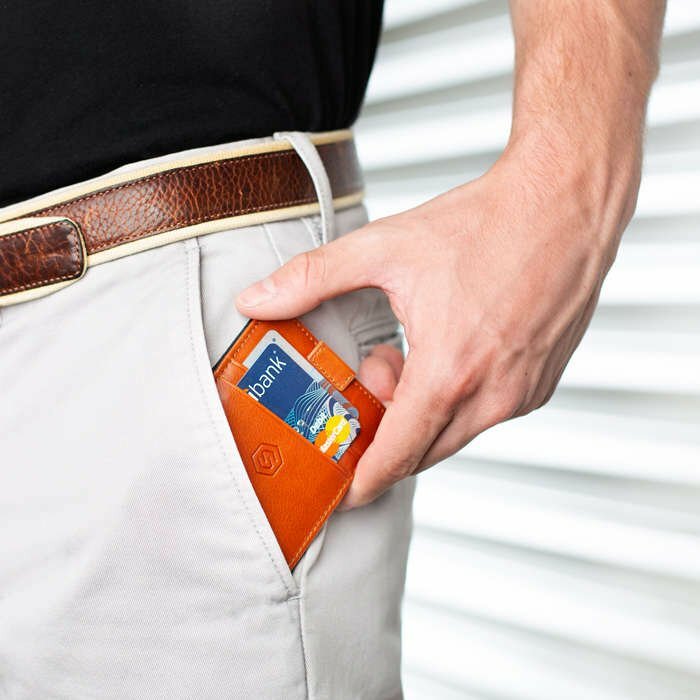 No more overstuffed wallets bulging out of your pants. Being slim, compact and minimalistic, it fits perfectly in your front and back pockets, shirts, suit or jacket.